"Renewable energy harvesting and efficient energy utilization are essential for creating a sustainable future. In the WSI, we develop new semiconductors, catalytic assemblies, and nanosystems that are the engines of advanced energy conversion devices, including solar fuels generators, photovoltaics, and solid state lighting. Advanced microscopic and spectroscopic characterization methods provide mechanistic insights for fabrication of new systems that are stable and efficient." 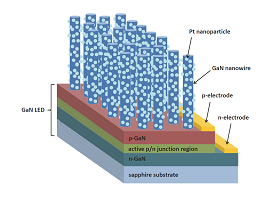 Prototypical examples of advanced semiconductor electrodes include semiconductors with a large band-gap such as SiC, GaN, ZnO or diamond, which are of great current interest for applications in, sensing, photo-electrochemistry and photocatalysis. We explore new material combinations in these fields by realizing and investigating heterostructures between different materials, combined with specific surface functionalization by catalytically active organic molecules and/or metallic clusters. We investigate new concepts, materials, and nanoscale architectures that use light to make and break chemical bonds. Inspired by nature, we are developing artificial photosystems that generate chemicals from sunlight. This approach offers a sustainable and carbon-neutral alternative to fossil fuels, but requires new systems capable of driving chemically selective and efficient reactions with photons. Thin film semiconductors provide versatile alternatives for photovoltaic energy conversion. Exciting developments in organic, hybrid organic/inorganic, and nanoscale materials are accompanied by undesired physical and chemical instability, poor charge extraction efficiencies, or unsustainable elemental constituents. 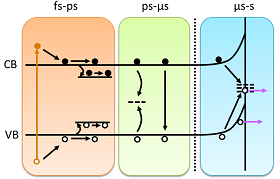 Our work focuses on overcoming these issues by understanding loss mechanisms, developing optimized interfaces, and exploring new compositions. Vigorous international efforts are dedicated to the identification of new semiconductor compounds with properties tailored for efficient energy conversion. However, the functional characteristics of such materials often fall far short of theoretical limits. At WSI, we investigate fundamental electronic structure, atomic scale defects, and electronic transport in emerging semiconductors including nitrides, oxides, and oxynitrides. 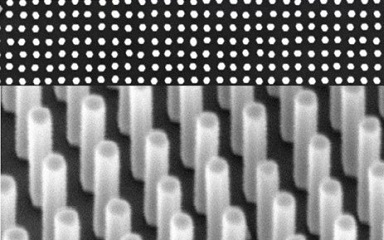 Insights gained from these studies provide a basis for rational synthesis of thin films and nanostructures with tailored optoelectronic properties. Understanding mechanisms of energy conversion, chemical instabilities, and efficiency loss requires characterization of materials under real operational conditions. Although the complexity of such environments makes such measurements challenging, a variety of operando measurement methods and configurations are now coming online. In our research, we develop and apply operando techniques that allow us to understand key physical and chemical processes that govern the function of energy conversion systems. 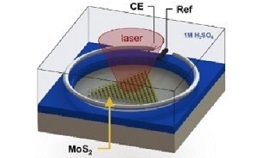 Layered 2D materials, such as MoS2, are interesting energy materials because electron hole pairs can efficiently be separated e.g. across heterojunctions, a highly mobile transport of charge carriers to active sites, and the existence of catalytic activity. 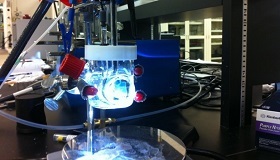 Successful large-scale energy conversion requires low-cost electronics. We investigate the use of inorganic nanoparticles in photovoltaics and thermoelectrics exploring doping and functionalization, studying charge transfer and developing nanoparticle inks and how to use them for printing.